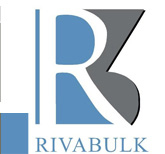 Agency Rivabulk also acts as agents in all Turkish ports and oil terminals together with the Bosphorus and Dardanelles for strait passages. Our agency department provides various worldwide owners, operators, charterers, and traders with the service in all ports of Turkey under the light of their experience and good knowledge of all possible agency matters like stevedoring/forwarding/repairs works/crew changes /bunker and fresh watches supplies /custom clearance +delivery of spare parts+cash to master etc..
Our head office in Istanbul provides agency services for vessels passing through the Turkish Straits (Bosphorus and Dardanelles). We have experienced staff who are ready to serve our customers 24 hours a day. For all agency requirements please do not hesitate to contact our agency department around the clock shinc basis for efficient and quick service.